You would be forgiven for thinking the difference in sound quality between the best tonearms and others is fairly minor – after all they look fairly similar so what could possibly make any real difference? In addition, it seems that your cartridge is at the business end of things, so the advice is “invest in a good cartridge and great sound will naturally follow”. However intuition is not always reliable and an alternative view of things offers breakthroughs which are otherwise unachievable. This article explains why improving your tonearm will yield results out of all proportion to general expectations. Feedback from hundreds of e-mails testify that a wise tonearm choice is an investment that really works. Later we examine the reasons why this long held view of system heirarchy proves true. The most addictive product I’ve ever heard. When it comes to upgrading an arm, it’s helpful to know the return on investment. One method of quantifying improvement is to look at the pricing of cartridges. Trials show that your cartridge performance can be increased to the level of one costing up to 70 times as much – the tonearm being the only difference. This claim is staggering but backed by a wealth of evidence. For example, 25 years ago, when all serious audio systems were vinyl based, reviewers went to great lengths establishing the hierarchy of components within a system. One test took a cheap £20 AT95E cartridge, verses an expensive £500 cartridge. The only difference being the cheaper cartridge residing in a better tonearm. With utter astonishment, the £20 cartridge sounded significantly better than the £500 one! This translates to the cartridge performing at over 25 times it’s value! Another example of hierarchy is related by a German Hi Fi shop owner hosting an evening for 40 clients. He compared a cheap £100 Denon 103 cartridge with a well respected £2500 cartridge. Again, the only difference being the cheaper cartridge in a better tonearm. Sure enough, the cheaper cartridge won by a jaw dropping extent. It’s worth mentioning that this wasn’t a poor arm in the ring with a good arm. Rather it was between some of the best tonearms — the highly respected Origin Live Silver arm against the Conqueror tonearm, much higher in the range. For perspective, the lesser Silver arm, was reviewed as “probably the best arm in the world”, when it first entered the market in 2002. We are looking here at an extraordinarily good arm, versus an absolutely top flight arm. Furthermore, the “best tonearm” statement on the Silver (£600 at the time) was no wild statement made by a newbie reviewer, but a well established Hi-Fi magazine Editor with years of experience of SMEVs, Linn Ekos, Naim Aros, tri-planar, Grahams and a host of other high end arms. Due to their exceptional performance even the more affordable Origin Live arms will replace much more expensive arms by other brands and still give the results mentioned above or your money back. This is not a difficult upgrade to carry out as our arms are exceptionally easy to fit and set up. Origin Live tonearms are designed on the belief that equipment should be outstandingly enjoyable to listen to, and as close to the original sound as possible. This may sound obvious, but there are some who are so fixated on isolated facets of sound like deep bass or excessive detail that they lose sight of the big picture – customers are told they need their ears retraining if they don’t like what they hear. To us, this is nonsense, if the music produced is not enjoyable, then the design is fundamentally flawed. Our tonearms have steadily earned a reputation for being the best at musical performance. Musicality has a lot to do with the way our brains process and enjoy music. Music is like watching a group of dancers on stage. If they all perform in unison then the effect is brilliant. Conversely if they are out of time with each other and not co-ordinated, the effect is spoilt! In much the same way, some equipment can produce a simple strand of music well enough but when more instruments kick in the timing of the bass may seem to lag behind and lack integration with the overall sound. Notable among many other common problems are overblown bass, insufficient bass or excessive treble which leads to listener fatigue. It’s natural to desire an explanation for what lies behind the spectacular transformation of cartridge performance. Firstly, your cartridge stylus generates vibration which causes your tonearm to bend and vibrate at a microscopic but measurable level. This has important repercussions. A helpful analogy is to think of a gauge used in engineering to measure 1/1000 ths of a mm. These need to be rigidly mounted to measure accurately. Imagine putting one of these on the end of a thin fishing rod and waggling it. No matter how accurate the gauge (your cartridge), it’s accuracy would be invalidated by the movement. This may seem extreme but it illustrates precisely why tonearm behavior makes all the difference. Your cartridge is constantly “measuring” the undulations of the record groove at levels well below 1/1000 th of a mm. If the surface it’s mounted on is unstable and moving then it cannot do it’s job properly. 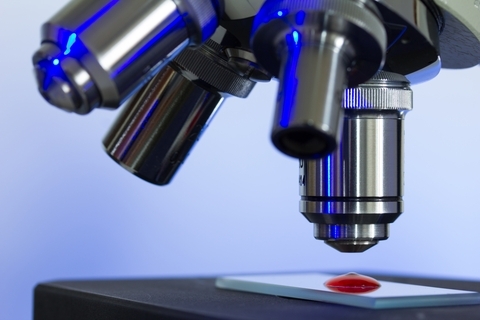 Another analogy is that using a poor tonearm is like expecting to view an object clearly through a powerful 100X optical microscope, whilst holding the microscope with a trembling hand! Your cartridge amplifies vibration not 100 times, but a colossal 8000 times. How well does it need to be held is the all important question? The best tonearms reduce “tremble” far more than underperformers. How Stable is the hold on your cartridge? You cannot see tonearm vibration so nobody gets alarmed. However, this does not mean it’s not happening – big time! After all, neither can you see your stylus vibrating as it generates the audio signal for your music. Conversely seeing the movements of your tonearm as it tracks the record leads to imagining it’s bearings must be of supreme importance. Tonearm marketing often plays to this assumption, proposing that highly specified bearings with interference fits will deliver exemplary performance. These assumptions are partially correct, but shift attention away from structural vibration which is actually much more significant in terms of sound quality. A survey we conducted with over 1000 audio enthusiasts, gave the result that 82% thought bearings affected tonearm performance more than the armtube structure. Of course an inadequate bearing will kill performance, and yes, we research bearings very carefully, but overwhelmingly, testing shows the arm-tube to have the most influence on performance. We shall attempt to illustrate why the tube “micro-vibrates” and how this disrupts the proper working of your cartridge. Micro-vibration is similar to electricity or sound waves. You know these things really exist because you see or hear their effects. We can also picture Micro-vibration. For example, if you hit a long tubular railing, you can hear it resonating even though you cannot see it moving. If you sit in an aeroplane, you can feel the engine causing the whole structure to vibrate but again you cannot see the movement. These illustrations draw attention to the fact that just because you can’t see a physical movement does not mean it’s not happening. Contrasting this, you can see your tonearm pysically moving up and down when playing. Just be aware that in reality these low frequency arm movements are of minor significance compared to the constant vibrations which intrude on the frequencies your cartridge operates at. As your stylus travels down the undulations in a record groove, the accelerations and dynamic forces it experiences are calculated to reach a staggering 8 tons per square inch. The tip can move back and forth at up to 30,000 times per second! To visualize the micro-vibration generated by this speed of movement, imagine a miniature man with a sledge hammer standing in front of the stylus and banging it from side to side with all his might. This energy is injected into your tonearm and as this occurs, things get very complex for engineers who understand the implications (not all do). 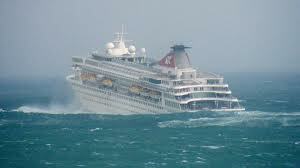 One powerful illustration I have witnessed on unseen vibration, is the effect of explosive underwater shock on ships. 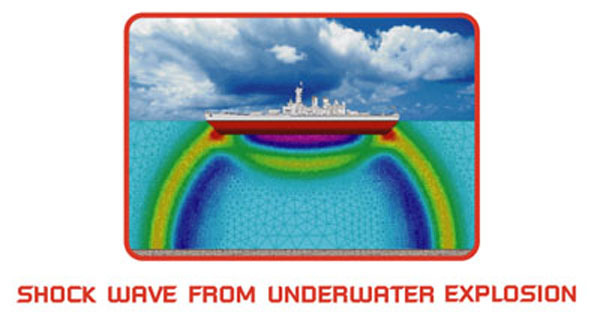 When a mine explodes under a vessel, the hull structure “ripples” at very high speed. So fast that even 10mm bolts holding fittings snap under the extreme acceleration. The fittings are propelled into space at speeds of up to 400mph (600kmh). This transforms the interiors into lethal areas full of bolts and fittings, flying around like shrapnel – nothing survives, but the hull structure can remain largely intact. Only fast frame photography at 800 frames per second, shows why these fittings fly off with lethal consequences. You would not see this ripple, as the eye can only see the equivalent of 60 frames per second, but it’s there – revealed by slow motion replay, of the high speed bending that “flicks” off objects attached to the structure. In the same way your arm tube structure is subject to a continuous series of “shock waves” which you do not see. The resulting structural “ripples” affect the stability of your cartridge to a critical extent and this is what we will discuss next. Even the best tonearms move, flex, ripple and resonate, in micro-vibration – In combination, these movements are extremely complex but must be reduced if high performance is to be achieved. I have heard turntable and tonearm manufacturers talking about the mechanics of analogue play as being no more than O-level physics – it’s not surprising that this lack of understanding and respect for the intricacies of vibration leads to products that seriously under-perform. Merely thinking in terms of zero play bearings, resonant frequencies, compliance and so on are similar to trying to design an aeroplane just knowing the laws of gravity whilst being ignorant of the laws of aerodynamics. To illustrate cartridge stability, imagine a ship in a storm, the movement can be broken down into 6 degrees of motion namely – 3 rotational axis to give roll, pitch, and yaw, along with 3 linear movements, heave, surge and sway. All these movements occur with a cartridge – this may seem far fetched, but we are talking about very minute movements, amplified to such an extent that it is almost impossible to get our heads around. Because of these movements, it’s easy to see why tonearm design has to be of the highest order. When tonearms cause cartridges to under-perform, the results are, loss of clarity and almost every other vice imaginable. For example some arms can make the sound “dull and lifeless” whilst others have a tendency to make it “harsh and uncontrolled”. Improving your arm will enable your cartridge to sing in ways that you would not believe possible. In fact the true extent of the sublime improvements wrought after changing to an Origin Live arm always seems to come as a delightful surprise to people. Music lovers tell us that after years of searching, they finally find the solution to many flaws that had previously bothered them or that they were not even aware existed with their old arms. These are owners of respected and expensive arms. The good news is that you do not need to spend a fortune to achieve true high end performance. Our best tonearms are renowned for their extraordinary high performance and shocking value for money. How are the best tonearms designed? Build quality with underlying design flaws is a waste of money and does not deliver real results however pretty it may be look at and admire. For example a side bias mechanism with a beautifully engraved spring dial may look to have better build quality than the thread and falling weight that we use – the problem is that the spring mechanism invariably “rattles” in micro-vibration and the degradation is clearly audible when amplified 8000 times. We have exercised a steady refusal to be seduced or pander to these flawed values which mitigate against true sound quality. Small details like this may seem insignificant on their own, but a multitude of similar instances soon add up and ultimately a very significant performance lead is built up. The exact methods we use to model best tonearm behavior and optimize design always derives from real world experimentation and observation. Many of our major innovations are not found through techniques like FFA (Fast Fourier Analysis – which can only ever be as good as the programming assumptions). Rather they have been discovered by pure accident because they are so counter-intuitive. Tonearms appear quite similar, but in fact nothing could be further from the truth. There are various schools of thought on how to tackle the design challenges presented. The most popular theory is that energy is best absorbed by damping, so there are manufacturers who go to great lengths to “prove” superior performance by using instruments to measure and compare resonant frequencies. The big problem with this approach is that it’s only one aspect of a complex picture. Technical measurements have proved time and again to have their limitations. Suffice to say, there are many well known examples in Audio history from CDs low distortion figures, to speakers with perfect frequency response that sound terrible. The fact is that excessive damping is often applied to solve problems which should not exist. Heavily damped arms may measure fantastically but sound dull and lifeless. They also tend to compress and kill the delicate decay of notes – this is sometimes mistaken for “control” or an “analytical” sound. a) Actual deflection and angular rotation of the tonearm in vibration – This measurement is in our view more important than resonant frequency figures. In other words the size of movement is more important than the frequency it’s moving at. For example if the movement was infintesimaly small the frequency would be completely irrelevant. In an effort to increase stiffness some tonearm manufacturers have used very large diameter tubes. These may be stiff for very low frequencies but they will suffer from vibration ripple within the very thin walls of the tube. b) The ” recovery speed” (the speed to get back to correct position) – e.g a good long bow, recovers very quickly to it’s original shape when firing an arrow, but a soft wood bow is slow and ineffective because it is more damped. As a rule, the higher the damping, the slower the recovery. You actually need the correct balance of both high speed recovery and damping which is why we test exhaustively to achieve this. c) The speed of energy transmission and the locations at which damping or energy loss occurs is not measured. These factors introduce timing issues and energy reflections. 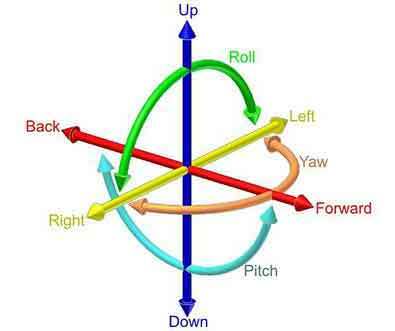 d) The measurements given are usually in only one axis which leaves 5 other movements totally unmeasured. Unfortunately one axis measurements do not necessarily indicate what the rest are like. The Founder of Origin Live is a fully qualified chartered engineer with experience of complex structural analysis. It was his conclusion that current models for tonearm behavior are oversimplified to the extent of being plain misleading. One example of this is how compliance formulas which are supposed to match cartridges to the effective mass of tonearms bear so little relation to practical outcomes. 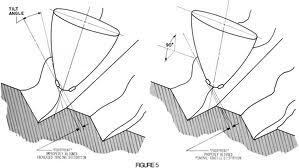 This matters because you need an accurate theoretical model to determine best tonearm design. 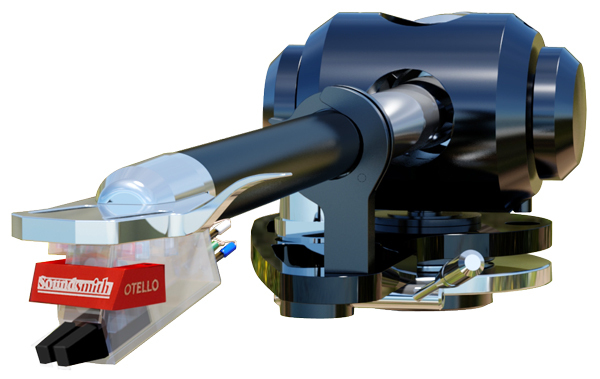 The design of our tonearms is the key to their performance. Over 25 years of continuous development has gone into these arms. However it’s the “outside the box” thinking, which make them special. Origin Live arms are extremely innovative, not only in concept but also in the choice of superior build materials. Wherever possible high grade alloys are included. These alloys are expensive to machine and finish but the results are so worthwhile in terms of performance. Most arms look great on the outside so it is easy to miss the massive hidden differences. With an Origin Live arm you can be sure that it’s not just a matter of high grade components but far more importantly, you have a design that really delivers in terms of performance. Much of the design philosophy behind Origin Live tonearms is discussed in our web page Aspirational design which is an important introduction. The specific design attributes of our tonearms are described in detail on the web page Tonearm design specifics.